Bernese Mountain Dog kennel "﻿Amžina Euforija﻿" is located in the middle of Lithuania. At this moment we own six Bernese mountain dogs - Uno Čiurlių Kamanė, Ebony Alpejski Sen, Dressed to Impress von Romanshof, Areon Sport Lux Amžina Euforija, Beatrix Super Superstar Amžina Euforija and Brunni Final Countdown Amžina Euforija. 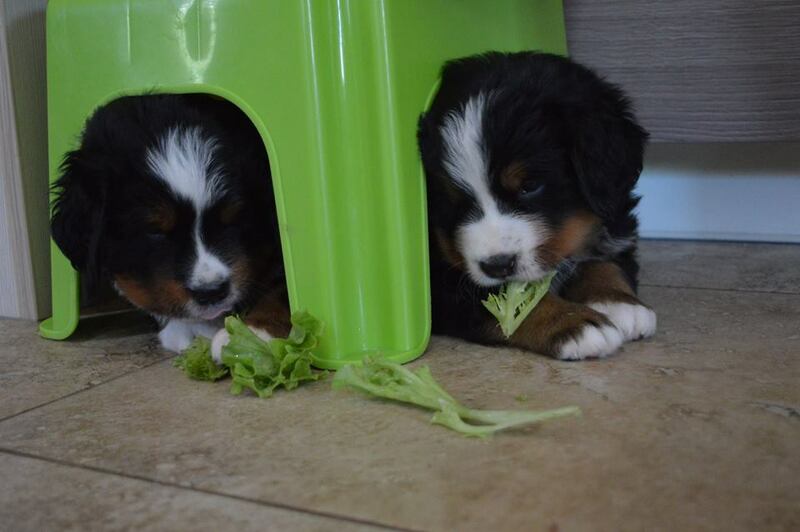 We got our first Bernese Mountain dog in 2011. His name was Frodas Kalnų Talismanas. Frodas had everything we was always seeking in a dog: he was very intelligent and smart, good-looking, especially gentle and joyful at the same time... everything except long life... We lost him in two and a half years from kidney disease. We tried everything what was possible (blood overfill, dyalisis, special diet) but it didn't help. Despite of this Frodas left in our memories as a dog who showed us that to have Bernese Mountain dog in the house means to feel eternal euphory (in lithuanian Amžina Euforija). We would like to say a big THANK YOU for Frodas's breeder Ligija Kulikauskienė from kennel Kalnų Talismanas for this amazing dog because of him we felt in love with this breed forever. Soon in our house appeared two more Bernese Mountain dogs - Uno Čiurlių Kamanė and Ebony Alpejski Sen. Uno is castrated because he has an overbite. But he is wonderfull family dog. Uno is very calm and gentle dog who wants to be with his family members always. And Ebony is the princess of our house. She is very strong physically, active, watchfull... but at the same time very sweet, obedient, faithful friend and very successful in dog shows. Later Dressed To Impress Von Romanshof aka Diva joined our family. She impresses us every day with her high temperament, she is very smart and intelligent and it seems like she never runs out of energy so we call her "soul of our house". In 2017, our first litter A (Ridon Hennet Nielsen x Ebony Alpejski Sen) was born and very perspective male Areon Sport Lux Amžina Euforija stayed with us. Areon enjoys us with his high temperament and especially sweet character. In 2018 we kept two youngsters from litter B (Harthin's O'Neill x Dressed To Impress Von Romanshof) in the kennel: Beatrix Super Superstar Amžina Euforija and Brunni Final Countdown Amžina Euforija. Beatrix is addicted to people. She is super sweet and cute and gives her love to all if shw knows you or not. And Brunni is like a serious man. He is self-confident but a little bit stubborn. At the same time he is still a little puppy who wants to get some attention and love. 2. to search for our bred dogs responsible and dog-loving owners who would like to share their dogs life with us. 2. future litter parents will be selected responsibly considering their health results, critics of dog shows, temperaments and both parents types.